Talk about your treat of the week! 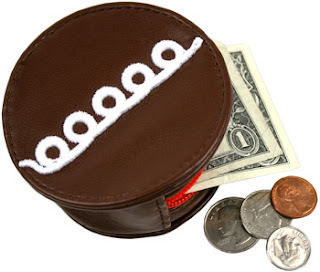 This coin purse was made for cake junkies like me. Save your pennies and calories! Pure sugary genius!